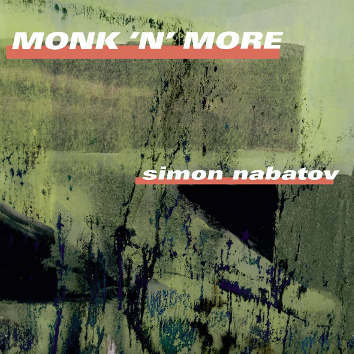 Two compilations from solo recordings of Thelonious Monk compositions recorded in 1995 and from a concert recording of Nabatov’s first use of electronics in 2013. Simon Nabatov is a fascinating musician, in part because his musical experience has been so varied. He has simultaneously embraced both jazz and classical fields, absorbing also many of the separately differentiated nuances which make up these two, widely developed genres. One thinks of crossings between these genres, but which crossings? Nabatov was born, so to speak, into both and grew up with them simultaneously, experiencing many musical systems. April 2013 saw the premier of a new and innovative programme for solo piano and computer which Nabatov had created in collaboration with a German composer, Hans Koch, an electronic music guru and innovator, and it is excerpts from this that are compiled into the ‘alternative’ tracks on this album, tracks 2, 4, 6, 8 and 9. It is all very lovely stuff. Simon Nabatov graduated from the Juilliard School of music, situated in the Lincoln Centre for the Performing Arts on the upper west side of Manhattan, New York. He regularly accompanied former Soviet musicians touring their US communities and played jazz and chamber music in every kind of venue and came to tour in Europe as well. This of course broadened opportunity for him and he has played with such diverse musicians as Ray Anderson (trombone/multiphonics) Arthur Blythe, Steve Lacy and Phil Minton. Multiphonics is the technique employed with a monophonic musical instrument (one which ordinarily produces only one note at a time) in which several notes are produced at once. This includes brass, reed, wind instruments and voice. Arthur Blythe is possibly best known for his contributions to the World Saxophone Quartet, experimentalist Steve Lacy was also a great proponent of Thelonious Monk while Phil Minton, baritone-voice and trumpet, has worked with most of the improvising musicians on the European scene, particularly specialising in free-form work, Free Jazz and Free-Improv.